Our Service includes a complete inspection of your home. We look for signs of insects and identify pests. We will treat any problems and provide a record of the work performed. B2B services is a key part of our service catalog. We are experts with warehouse sanitation and food service safety. We provide complete reports to help monitor and maintain your facility. We are flexible to schedule when you need us at your office. We know how to solve fly control and rodent problems discreetly at your workplace. No matter what kind of business you’re in, we have a solution for you. Protect your home from invasion. Keep out scorpions, bees, snakes, spiders and other dangerous pests with a ProBest Home Seal. We offer steam and heat bedbug treatments. As well as pesticide treatments to kill bed bugs in your home. We sell box spring and mattress covers, climb up bedbug devices. We install bedbug monitoring products designed to help you with bedbug problems. ProBest is a leader in termite treatments. Our treatments come with a warranty. We offer peace of mind free termite inspections * with purchase of termite treatment and real estate termite reports. ProBest will jump into any project with both the wildlife and you in mind. If at all possible we will remove the wildlife and release in a safe place. We then exclude the animal from ever getting in to your home again. ProBest has a wildlife service permit from the Arizona Fish & Game Commission. We receive calls for all sizes of animals and birds. ProBest Pest Management services include pest control, termite inspections, home sealing. You can trust and rely upon ProBest to solve pest problems, because we have been a local Arizona company since 1981. Bugs are a reality of life and when they show up in your home, they can make life for you and your family uncomfortable. Even potentially hazardous. ProBest specializes in diagnosing and treating your home. All of our services are customized for your comfort and protection. Are you buying or selling your home? Call ProBest for a Wood Infestation Report. We are a QualityPro company and have been since 2005. Keith Birkemeyer aka Dr. Bug has been in the business of pest management for over 20 years. His interest in bugs began at an early age when he delighted(?) his parents with an infestation of Praying Mantis. He had brought some egg cases in from the cold one winter in Ohio. When they hatched there were baby Praying Mantis everywhere. Keith grew up in Scouting and is an Eagle Scout. His formal training began in Florida. A state well known for a hearty bug population, especially termites. He continued his career with a chemical manufacturing company as a Technical Specialist. Keith has traveled the world speaking to various groups about bugs, termites and pest control. He is an Associate Certified Entomologist. Keith enjoys sharing his Arizona pest control stories and facts. He is the owner of ProBest. ProBest has been named a Quality Pro company. 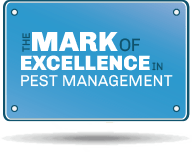 And is awarded the “Mark of Excellence in Pest Management” by the National Pest Management Association. Keith may be a grown kid at heart and his company allows him to pursue his passion. No one knows bugs like Keith does. That is the number one reason to call ProBest Pest Management for all your insect prevention needs. ProBest is a member of the NPMA. Our employees are licensed, insured, and have a crime-free background check with Crimshield. We know how to eliminate all types of insects and pests from your home and business. 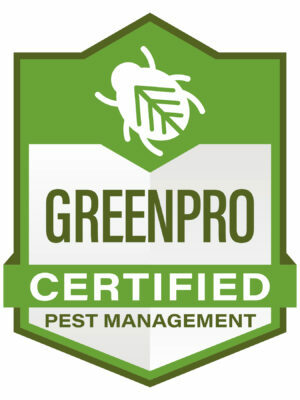 We have years of pest education and training. We go far beyond the state required training. This makes us among the most qualified professionals available for Phoenix termite and home pest control. ProBest Pest Management services revolve around the concept of Integrated Pest Management (IPM) practices. IPM is a decision-making process that focuses on long term prevention of pest activity and their damage. It is a combination of several strategies to reduce the presence of pests. Our baiting, spray treatments, and non-chemical methods are guaranteed to eliminate phoenix pests year-round. And you can trust the work done by our team at ProBest. We provide a complete guarantee for all of the work we perform. ProBest starts with an inspection of common entry points into your home. As well as common locations where pests can be found including kitchen, attics, and bathrooms. If you’re home we may ask if you’ve seen anything. Complete inspection of the outside of your home for signs of pests. Treatment of any problems or signs of trouble and a record of the work performed. Spray or removal of cobwebs from areas to kill or discourage spider activity. Application of a complete customized treatment to the outside of your home. This may include granules and baits for pests. We leave a service slip report of services completed and any chemicals used after each visit. ProBest Pest Management is the leader in termite treatment & real estate termite inspections. ProBest Pest Management is here to provide you a thorough WDIIR report delivered via fax, mail or e-mail. Request a termite inspection now. We also offer a Peace of Mind free termite inspection * with purchase of termite treatment if you are not selling your home. We use Termidor for Phoenix termite treatments. Protect your home from invasion of scorpions, bees, snakes and other dangerous pests with a Scorpion Home Seal. Dust Attic or crawl space. Block wall bump-outs (pilaster) – concrete or seal those cracks, that’s where the scorpions and other bugs hide. Garage door seal StormShield (on concrete where the garage door comes down). Replace the Garage Door T trim rubber, over time this product wears and should be replaced. 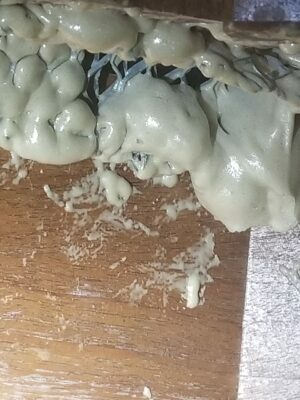 Sometimes this product is actually vinyl and doesn’t wear as well as rubber. So we replace it with rubber. Garage Door trim is the piece that goes around the sides of garage door. It really is there to prevent intrusion of water, rain, dirt/dust and bugs. Garage Door Rodent Guard, this attaches at the bottom of both sides of garage door molding trim and is constructed of metal making it tougher for rodents to gnaw their way into the garage. Install Dryer Vent Screen to prevent birds and other pests from entering your home through the dryer vent. Clean dryer vent exhaust duct work from the dryer to the outside. Consumer Product Safety Commission estimates that 15,000 fires are caused each year because the lint builds up. What can you do to prevent scorpions and rodents from gaining access into your home? Repair pipes that leak. Check drip and irrigation systems for leaks. Check to insure that irrigation doesn’t splash your home. Over time the water will seep into the house. Use pest resistant trash receptacles. Pest proof your compost bin. Encourage bats and song birds, they eat bugs. Plant flowers not to close to the house. I don’t suggest planting them to close. Don’t plant vines that attach over time. This creates an avenue into the house. And you can’t see what is going on behind the plant. Make sure access panels are secured and closed. Monthly or at the least quarterly check your home for unusual signs of pests or rodents. At least once a year conduct a termite inspection. ProBest services include phoenix home pest control and commercial pest control. We are in the Phoenix and surrounding cities. Gilbert. Mesa. Chandler. Queen Creek. Apache Junction. Gold Canyon. Johnson Ranch. Buckeye. Avondale. Surprise. Sun City. Glendale. Peoria. Deer Valley. Scottsdale. Tempe. Maricopa. Casa Grande. Goodyear. El Mirage. Litchfield Park. Tolleson. Laveen. Carefree. Cave Creek. Fountain Hills. Gila Bend. Paradise Valley. Youngtown. New River. Sun Lakes. We will also travel to Tucson and Prescott.